Unlock the mysteries of creating while enjoying the perfect natural setting for a peaceful Plein Air watercolor session. The digital age will also lend a hand in transforming nature into art. From personal photos for reference, to creating prints of your finished work, this workshop will be a real eye opener. It is designed for the beginner to the skilled artisan, and will have you never looking at watercolor the same way again. 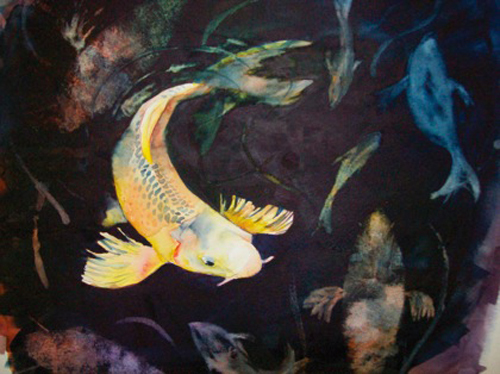 Kacey Fansett is an award winning watercolorist. She has lived in Three Rivers for thirteen years, moving here with her husband Jim, when he became Three Rivers’ resident Deputy Sheriff. Her art career spans thirty years, starting in at art school and continuing today with her many classes and clients. 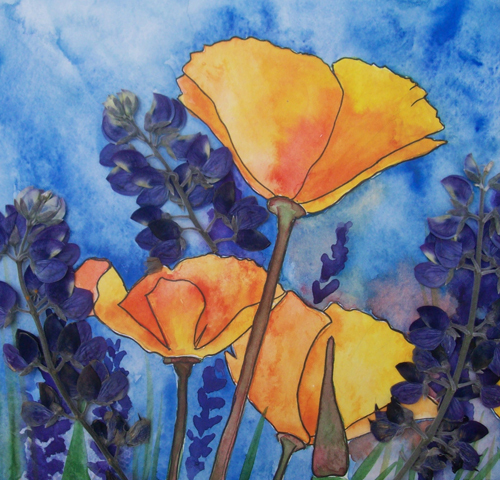 Kacey’s passion is watercolor, and she currently teaches weekly classes at Arts Visalia and the Three Rivers Art Center. She also holds special workshops for seniors and youth in our valley community. Her favorite part about teaching watercolor is watching the surprise on her students faces when they realize what they are able to create. Add $25 for registration after the earlybird deadline of April 12, 2013. Refund, minus $25 administration fee, for cancellation made by April 12, 2013.